Great to have you in Lviv, and thank you for choosing Lviv City Card! Best of all is that Lviv is affordable to everyone with Lviv City Card. For only 250 UAH (around 8 EUR) you can visit the best museums of the city, enjoy an amazing view from the City Hall Tower, have discounts in the best restaurants and enjoy famous Galician cheese cakes and a tasty mulled wine. 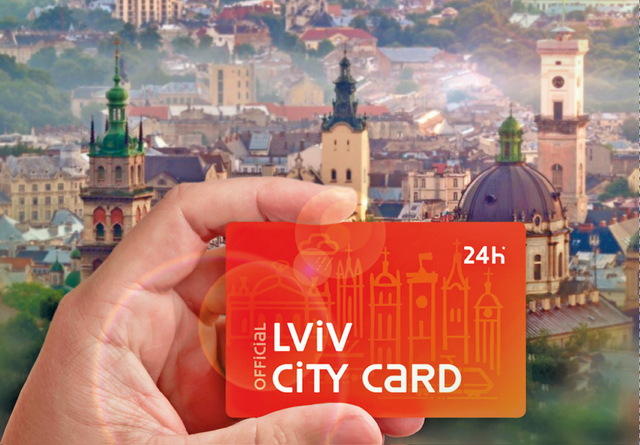 Discover Lviv in the best possible way – with Lviv City Card! So, get your card and umbrella and off we go! Validate your Lviv City Card with the first use in the locations - participants of Lviv City Card project. Next time you want to use the card you just scan it in each location. The card is valid for the next 24/48/72 hours after the first use. To use public transport (in case the card is validated already) you don’t need to scan it, just keep it with you. In a case of ticket inspection please show your card to the inspector to check if its valid. 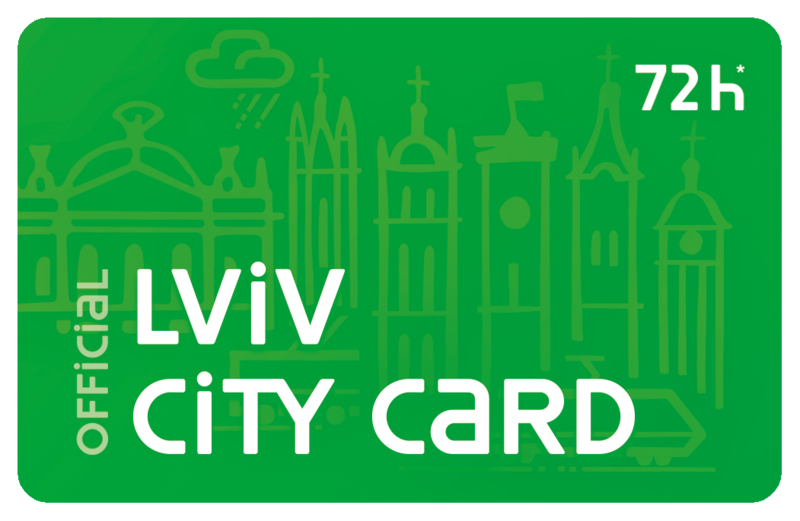 Keep in mind, Lviv City Card is valid just for electric public transport (trams and trolleybuses), no busses/ minibuses are included in the card. In case of any other questions please call Lviv City Card Hot Line +38 093 707 3 707 from 9am to 7pm Mon-Sun. And many other services to help you make the most of your stay in Lviv.